You are here because you want to be a positive role model in the life of someone you love, and we are lucky that special someone is here at Ackerman Elementary! Thank you for investing in your child and other people's children by serving your school community in a positive way! 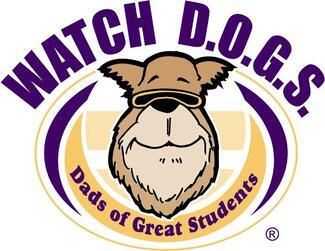 You play an important role at Ackerman as a part of the Watch D.O.G.S. community! What to do: Find a date, click it and sign up! That's all!!! We apologize if your desired date is not on our calendar, and hope you can find another date that will work for your schedule! You'll receive an email reminder 2 days before your scheduled Watch DOG day. Report to the office on your scheduled day by 8:00 a.m. and you will receive your personalized schedule. Due to scheduling we would like to alleviate any last minute sign-ups. Please sign up at least one week in advance. The day Skip has to wear IOWA gear!! Mina Adler - Her birthday is on 5/9, but the day is full.